The Harlem tailor and luxury label are teaming up for a capsule collection and more. From the early ‘80s to the early ‘90s, Daniel Day, better known as Dapper Dan, was one of the most sought after tailors in Harlem. Numerous hip hop artists and athletes like LL Cool J, Salt-N-Pepa and Mike Tyson were regular customers of Dapper Dan and could often be spotted wearing his unique fashion pieces that were usually emblazoned with unauthorized designer logos. Essentially, Dapper Dan provided one-of-a-kind looks that his customers desired but after being targeted by fashion houses, Dapper Dan’s Harlem operation was eventually shut down for copyright infringement. Fast forward over two decades later, and in an interesting fashion plot twist, Gucci created a mink jacket that hit the runway for its Resort 2018 show that completely imitated a look that Dapper Dan created for Olympian Diane Dixon back in 1989. After the similarity of the jackets went viral on social media, Gucci admitted that the jacket was indeed a nod to the famous tailor. Gucci is now paying homage to Dapper Dan in an even larger way. According to The New York Times, Dapper Dan is bringing his studio, which will be powered by Gucci, back to business in Harlem by the end of the year. Gucci will supply the raw materials for the custom looks that will be offered by appointment. In addition, Gucci and Dapper Dan are collaborating on a capsule collection that will hit Gucci stores next spring. 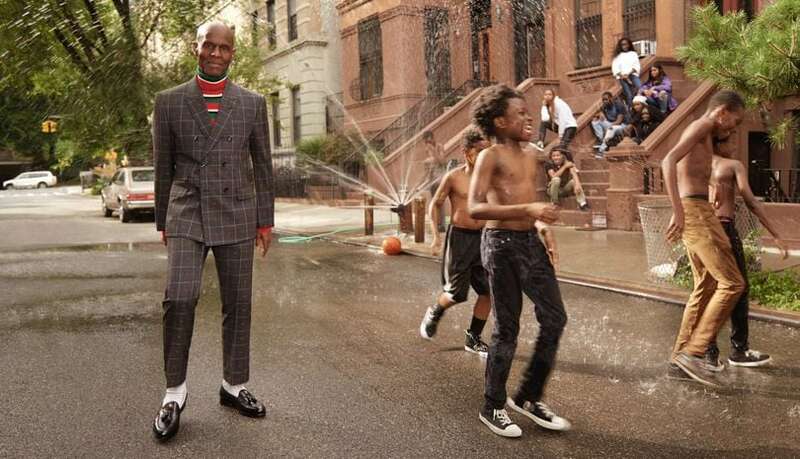 Dapper Dan also appears in Gucci’s new tailoring ad campaign, which was actually shot in Harlem. In an interview with The New York Times, Dapper Dan expressed his excitement about being able to work in the open while Gucci’s creative director Alessandro Michele talks about recognizing the power of Dapper Dan’s work.